Brad Parscale on Twitter: This is #TotalFakeNews. Poll is junk. 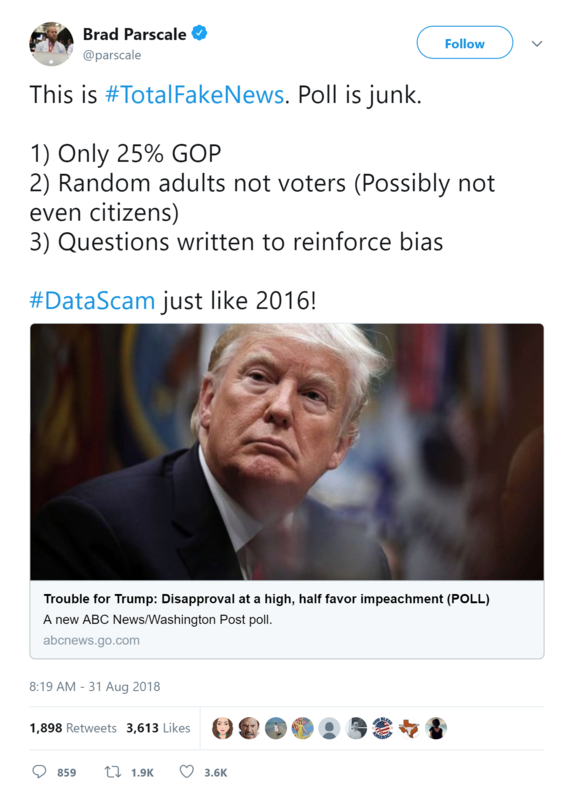 1) Only 25% GOP 2) Random adults not voters (Possibly not even citizens) 3) Questions written to reinforce bias.. #DataScam just like 2016!